Amber is actually not a crystal or a gemstone but a fossilized tree resin and it’s very, very old. Blood amber varies from different shades of red to light or dark orange color. Because of its beautiful colors and shades, it is very often used in jewelry but its clarity and longevity have also proven to be a great preservation medium. Many amazing fossils have been found inside amber stones. One of the most fascinating is dinosaur feathers. Many experts have suggested that the prehistoric beasts were covered in them. It was created amazing 78 million years ago! 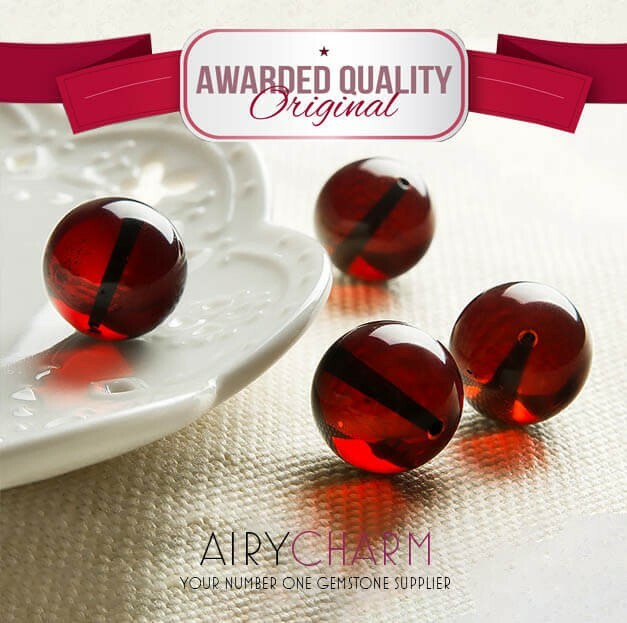 Keep in mind that there is a lot of fake blood amber on the market and there’s also blood amber on the market which is called reconstituted amber. Reconstituted amber is where they take real bits of amber and heat it up and combine it with a resin to then make a constitute of amber. 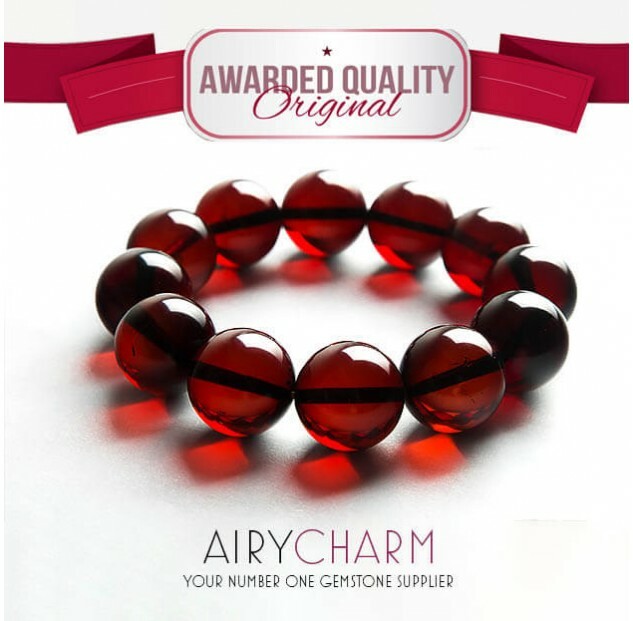 So keep that in mind when choosing what type of amber jewelry you want to buy. Usually, blood amber is shaped into beads to create necklaces or bracelets, but there are also different pendants and rings. Since blood amber is so ancient, it is believed to have very powerful metaphysical properties and wearing it can have many benefits for you. In ancient cultures, people believed that blood amber is solidified sunlight. Because it comes from the resin and the sap of trees, it contains great life force energy and great power. 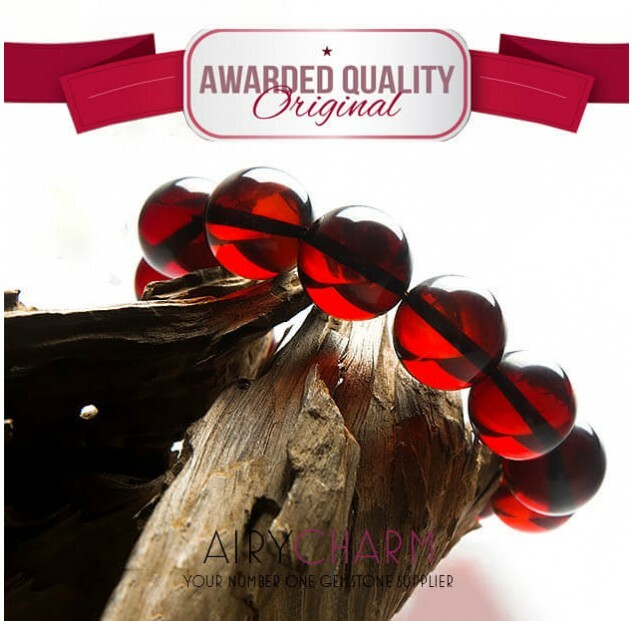 Wearing blood amber jewelry is really good because it contains light and sunlight and that is really good to boost the mood. So if you have a dark mood, you’re irritable, angry, sad, upset or even if you have seasonal affective disorder and you get depressed in the wintertime when the light is low, wearing blood amber will infuse you with that brightness and light energy that you need to have your emotions balanced and to feel optimistic, uplifted, and joyful. Blood amber is also really good for detoxifying your workspace and detoxifying your body. So wearing it can help you through the process of quitting smoking, drinking, or diets because it speeds up the detox process. It is also known to help manifest things into your life and will give you that extra bit of good luck that you need because it attracts abundance. 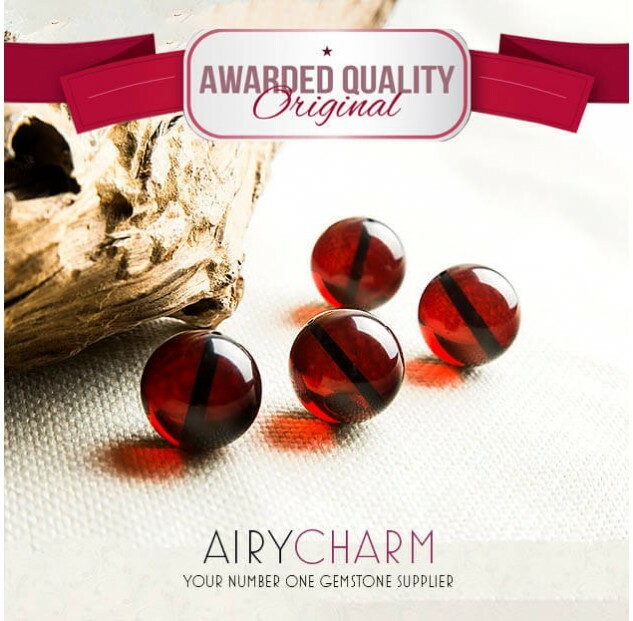 Blood amber promotes good luck and success in your life. It can help you with gaining more courage and feeling protected. It can help heal the spleen, the stomach area, kidney, joints, even your teeth and jaws, and it absorbs pain in the body. It also balances the left and the right side of your brain. Blood amber stimulates your metabolism which is ideal if you’re trying to lose weight. 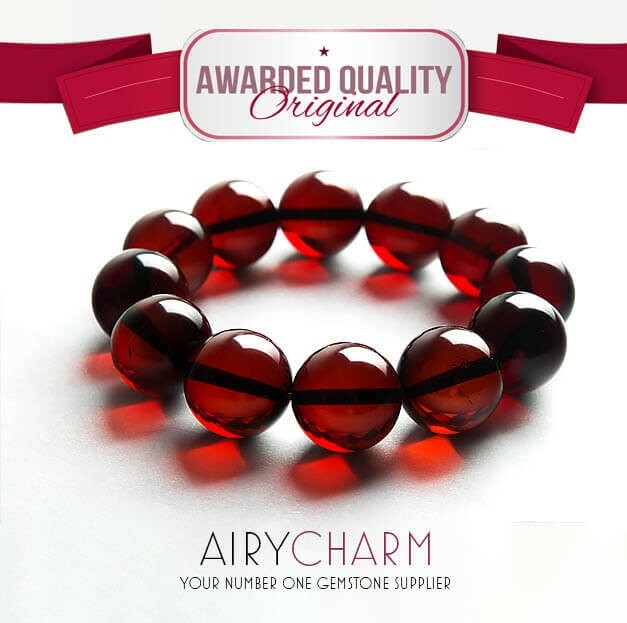 So blood amber is an all around great stone to wear and it also makes for a really beautiful accessory with its blood red color.